Not only that, but you are how much you eat. If you eat a lot; there will BE a lot of you in return. The only sure way to lose weight, or stay at the same way is to consume less than you burn off. It is a pretty simple equation. But sometimes that is easier said than done. In this age of maximum consumption, many people want to have their triple-decker cheeseburgers and supersized fries. Even if you are eating a healthier and sensible diet, it is sometimes hard to tell what a " single portion" is if you are following the food guide pyramid. Healthy eating habits is all about portion control. Proper portion control as part of a daily regimen will take the weight off, and keep it off. It is an essential part of long-term weight loss plan. Anyone who says differently is trying to sell you something. One of the huge problems with controlling your portions is that most people wildly overestimate what "2 servings of meat" or a "single serving of starch" actually consists of. They think that they are getting 1 serving, when they are getting 2 1/2 servings. This isn't bad if it is something healthy like greens, but can cause a real issue if it is you meat or starch portions. 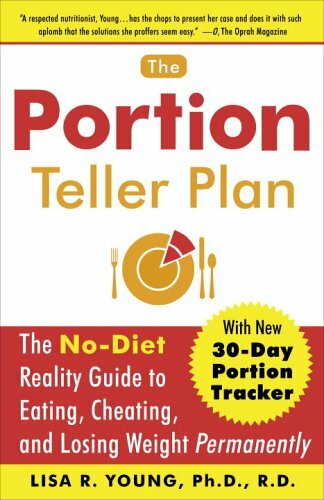 There is a good book by Doctor Lisa Young that describe proper use of portions, why it is important and how it can help you not only to lose wieght in a fad diet manner...but to be the key to permanent wieght loss. Don't let all those fad diets fool you, this simple and sommon sense approach to lifestyle modification is the best way to shed and shred those pounds and is the only thing that can really effectively take the wieght off forever and make you happier and healthier in the process. All you have to do is watch the popular, "Biggest Loser" program to see that controlling what you eat (and proper exercise) are still the best and surest way to lose wieght lon term. Nothing comes close! I have tried more than a few of the fad diets in my life, and they may work, but the relief is tempory and fleeting. The only real answer is to eat less and exercise more and this book below explains some tips for doing that in a manner that is both smple and elegant. A big part of the problem of weight loss is that people unwittingly eat far more than they might think that they do. People often eat a bagel in the morning, without thinking that a bagel is equal to 5 slices of bread. As portion sizes increase on a daily basis, this guide will help you understand the relative merits, and when you want to "cheat" on your diet, how to do so with minimal impact. Understanding the importance of portion control and the relative merits .of swapping one food for another. Now, the book above can help to inspire and train you for eating healthy portions. But is this book something you have to have? I liked the book, but we all know we need to eat less, right? Simple enough. It is in the actions that some of us fall down. Now I like this portion control tool. I have a few of them. (For when they are in the dishwasher). They really help to show you the proper portions in a viscereal style that a million pictures just could not do. This handy tool fits perfectly on just about any plate. It makes controlling your portions a snap. Simply fill up each of the handy cutout circles with the proper type of food, remove the meal portion control tool from the plate and presto! you have perfect portion control. 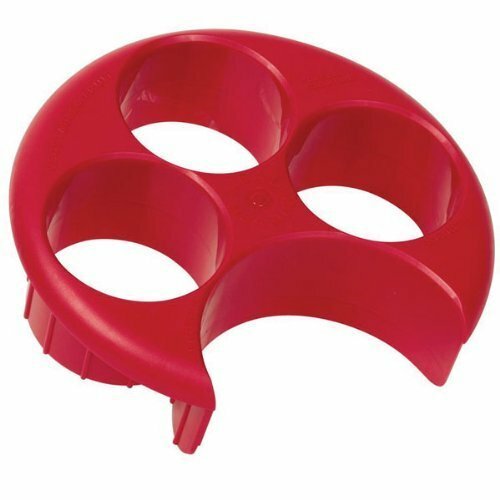 Make this tool a permanent part of your eating rituals and you will be on your way to healthier and fitter lifestyle. If you are thinking of working off a few pounds, or just trying to keep your current fit condition I hope that you will consider this idea opf controlling what and how much your consume along with a sensible Aerobic and Strength Training to get fit in a way that is a healthy and lifelong change rather than just another fad diet or gimmick.